I have approximately one zillion unused wine corks at home because I purchased a very large quantity to get a bulk discount a while ago. I already had to pay the shipping, so I wanted to make it worth my while! 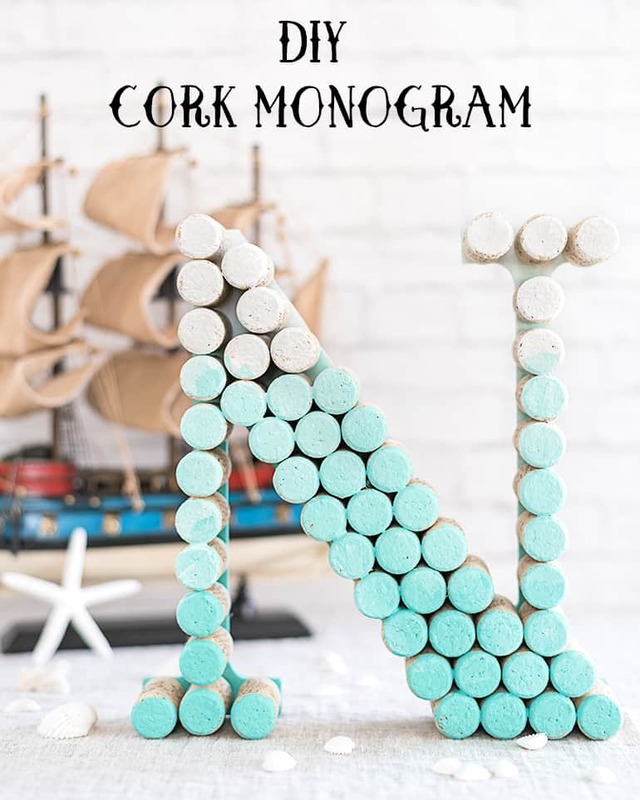 You may remember the ombre beachy monogram letter tutorial I shared last month – this cork monogram letter is what I originally had in mind for the project. Ultimately I decided to make two versions of the monogram and share them both! 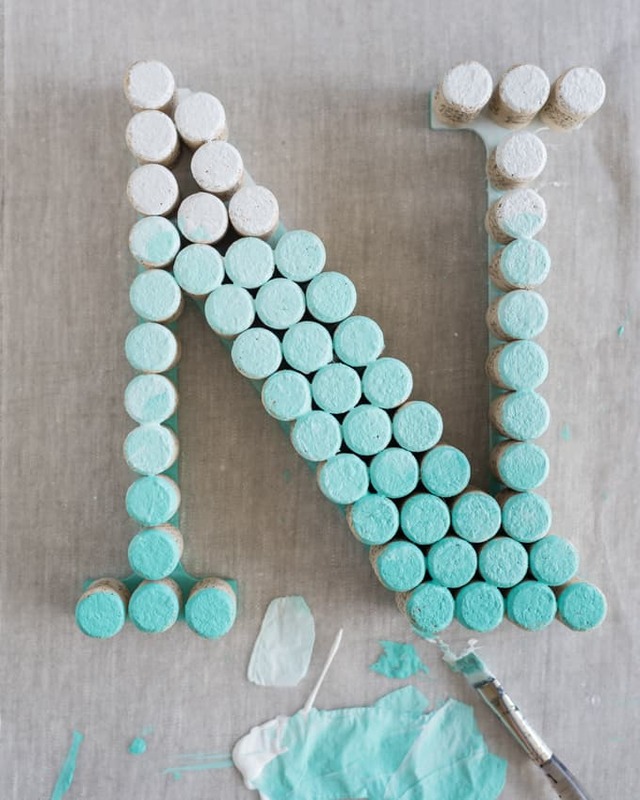 Today I’m demonstrating with an “N” again because N is both my first and last initial. 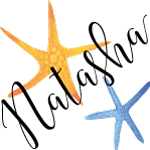 As usual, this project is easy to customize and decorate to match your decor, so I hope you enjoy! A wood cut out letter! Mine was 9.5″ tall. Wine corks. Unless you want a rustic winery-inspired monogram, consider purchasing new, unused corks like these ones I used. I used almost 60 corks – the number you need will vary depending on your letter. Acrylic craft paint. 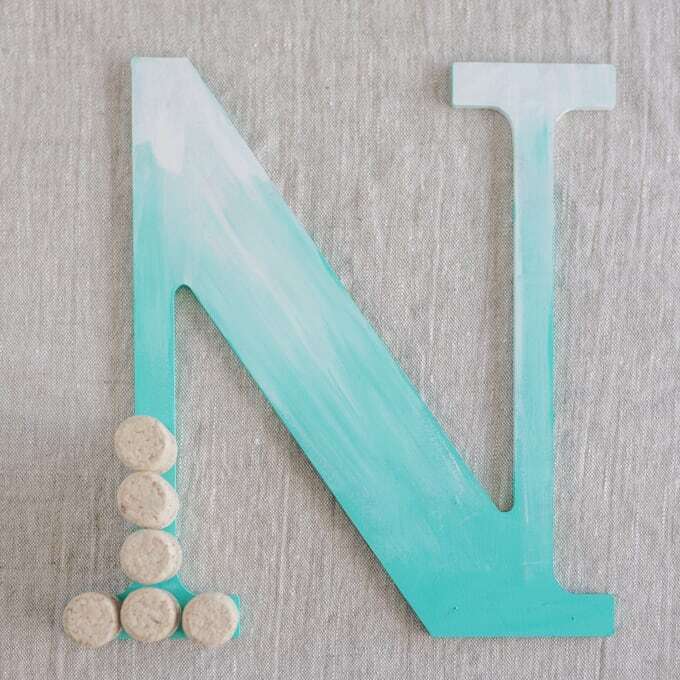 I used turquoise and white to create an ombre effect, but you can use a single color or even more colors – it’s up to you! A paint brush. 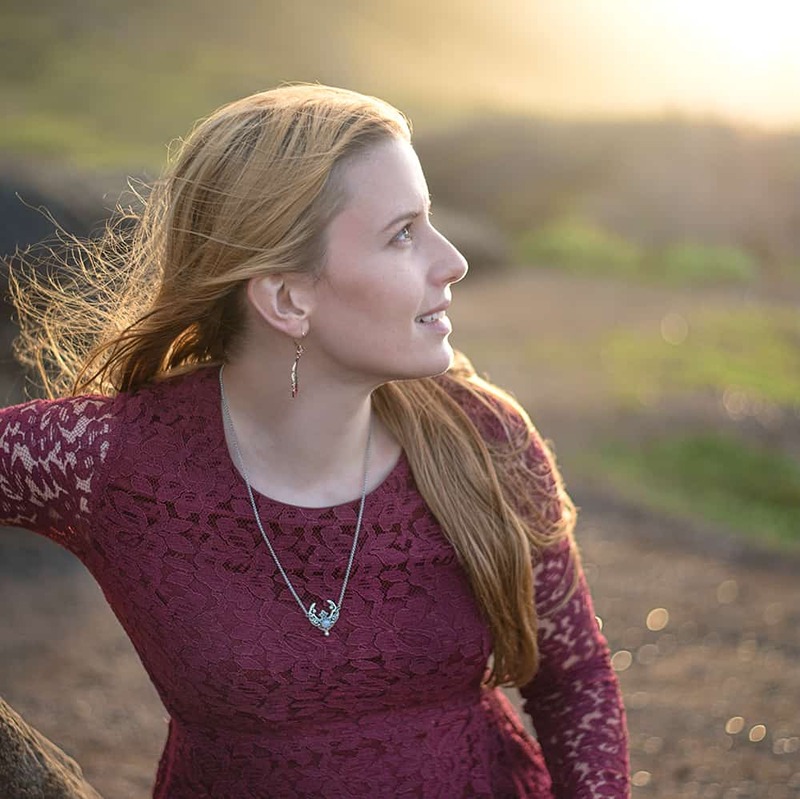 I highly recommend a 1/2″-1″ flat brush for this project. Hot glue. High temp hot glue tends to last longer, so consider using it if you can. Wax paper or a crafting mat to protect your work surface. 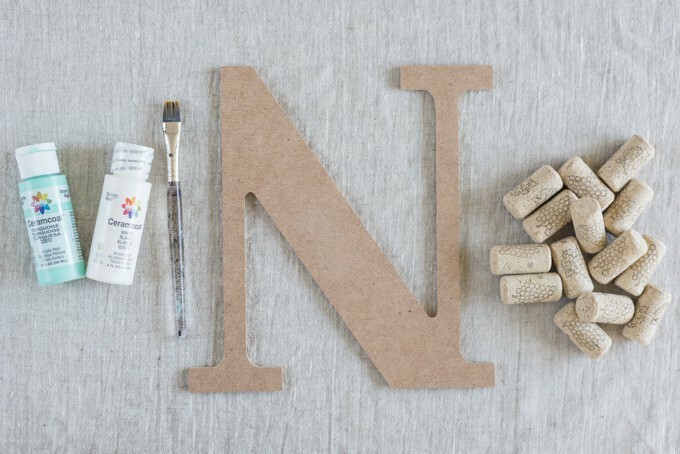 Begin by “dry fitting” your corks onto your monogram. This will help you see how they’ll need to be placed once you start gluing! This step may seem unnecessary, but it’s very important. 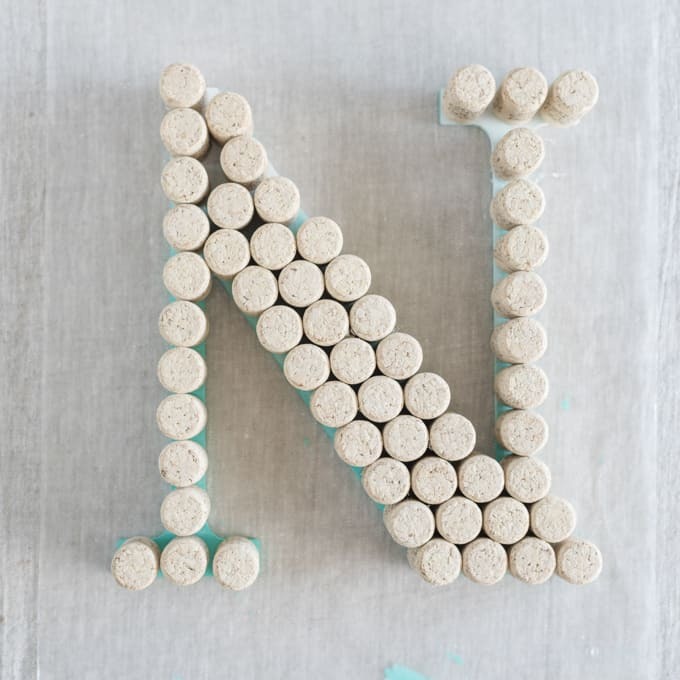 If you don’t practice setting them out, you won’t know how to space the corks for an even appearance and your monogram is more likely to end up funky looking. If you’re okay with having the unpainted letter showing through your design, you can go ahead and start gluing the corks in place. If you’re like me and think the bare wood showing through isn’t that nice, remove the corks, protect your work surface, and paint your letter! I followed the easy ombre painting process I outline in this post from last month. Allow the paint to dry fully, then heat your glue gun! Carefully glue each cork in place. If you’re painting the corks all one color, paint away! If you want to create an ombre effect, put a dollop of each color onto your wax paper/crafting mat/a palette. Paint the bottom third of the corks with your darker color. Quickly clean and dry your brush or grab a second brush and paint the top 1/3 in your lighter color. Mix your remaining paint together until you’re happy with how it looks and paint the middle section to complete the ombre effect. 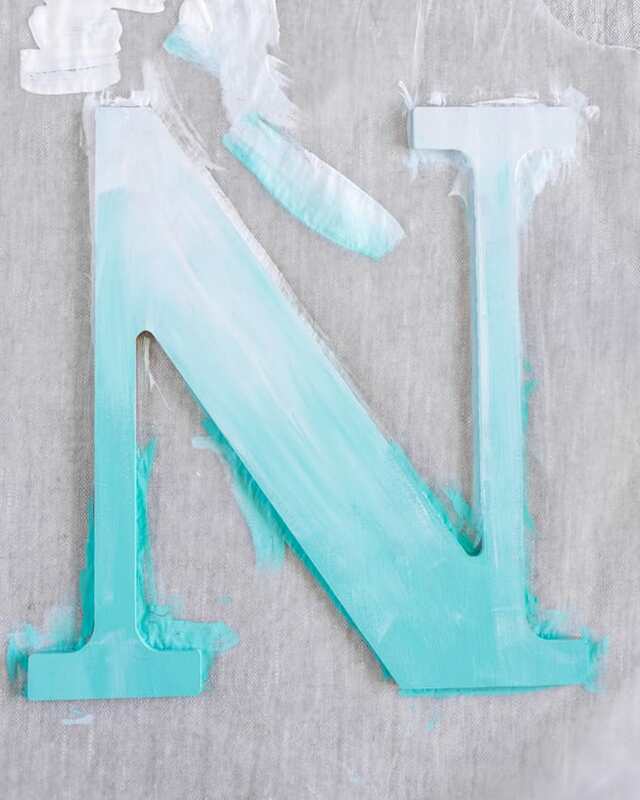 Allow the paint to full dry, then enjoy your new monogram letter! 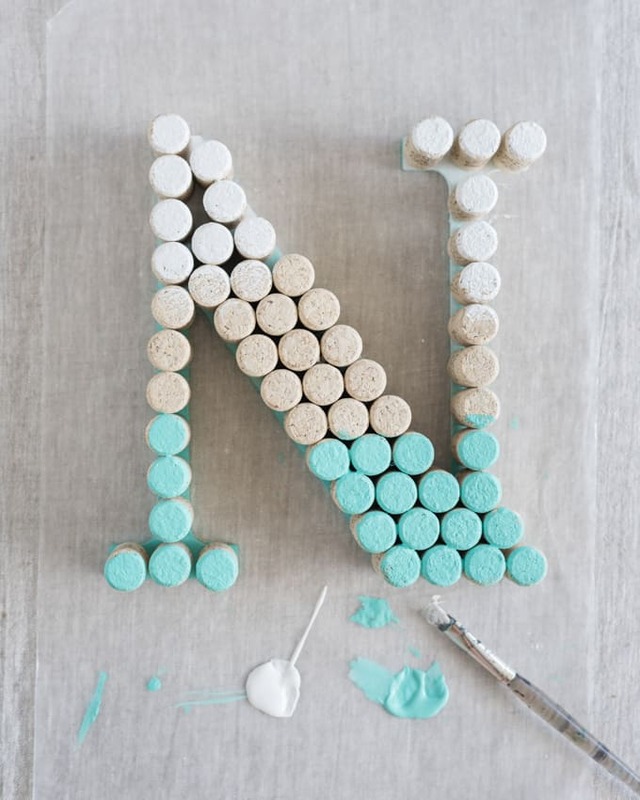 Depending on how your letter is shaped, the letter will probably be freestanding, so you can place it wherever you’d like. 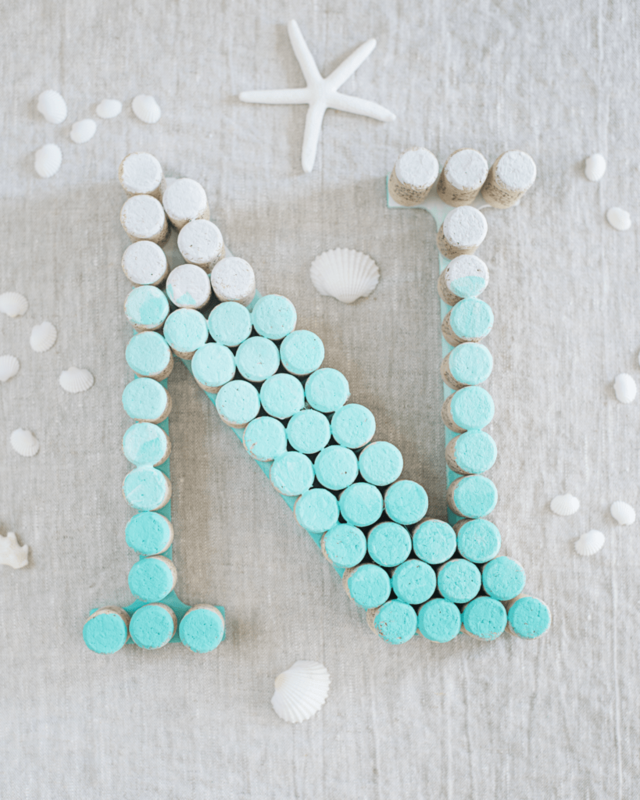 If beachy isn’t your thing, how would you decorate a cork monogram letter? Gold would be fun! Grays and dark wood sounds so elegant! I love the ombre aesthetic! 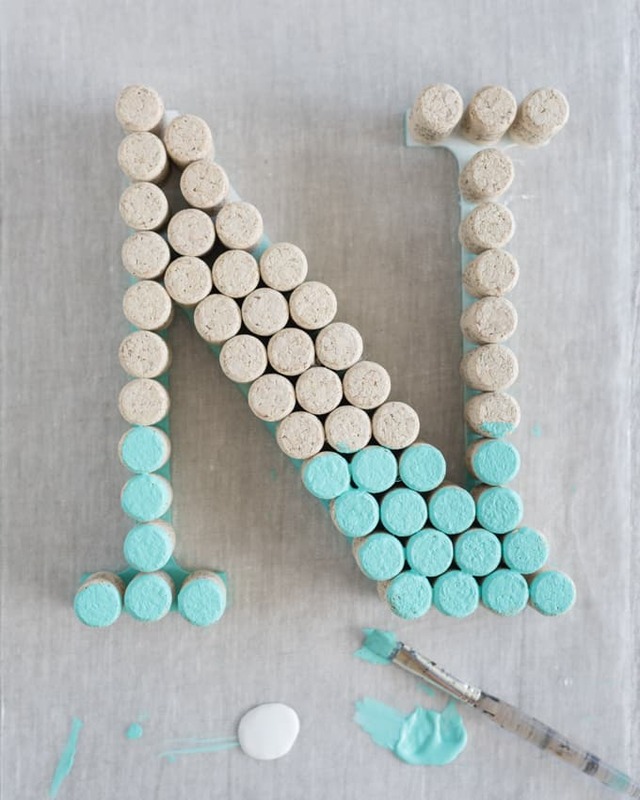 It adds such visual interest to the letter. Thank you! I know ombre was big a couple of years ago, but I still love it.